A RISE in production at a Curtis Island LNG exporting facility is cited as the major factor contributing to increased revenue for national gas empire Origin Energy. Origin Energy Limited's third quarter report showed its Gladstone venture, Australia Pacific LNG, increased production by 4.6 petajoules compared to the three months prior. During the September quarter the company cashed in $678.6 million in revenue - one per cent more than the June quarter - due to an increase in production and higher LNG prices and domestic sales volumes. Meanwhile during the next quarter Australia Pacific LNG will undergo a planned maintenance program with a 0.5 train outage for 10 days. 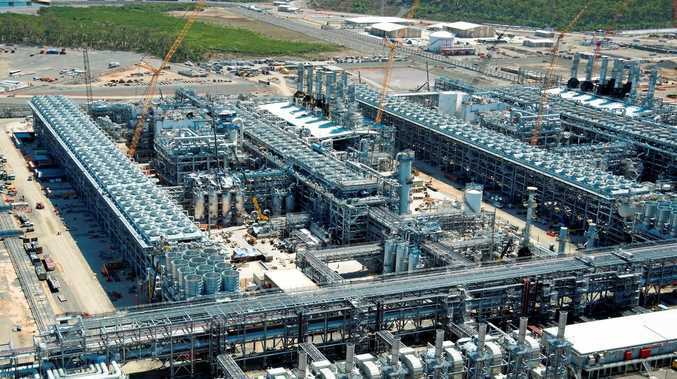 Chief executive Frank Calabria said the increased production comes off the back of the 90 day two-train operational test at Australia Pacific LNG. The successful lenders' test unlocked the remaining $US3.4 billion of shareholder guarantees relating to the $US9.4 billion project finance facility. "Australia Pacific LNG continues to be a major supplier of gas to Australia's east coast, and is expected to provide almost 30 per cent of total east coast gas market demand in 2018, as well as meeting its export contract commitments," Mr Calabria said. "During the quarter, a total of 32 LNG cargoes were loaded and shipped under the project's long term sales and purchase agreements." The company also secured a "significant" amount of gas production for the east coast gas market from its sale of its upstream oil and gas business Lattice Energy to Beach Energy for $1.585 million in September. "We reached another major milestone during the quarter announcing the sale of Lattice Energy, which delivers on our commitment to simplify our business and reduce debt," Mr Calabria said. "As part of the sale, Origin secured access to a significant portion of Lattice Energy's future east coast gas production under long-term gas supply agreements to support our domestic gas business." Planned maintenance was successfully completed on both LNG trains at APLNG in line with expectations. During these shutdowns excess upstream gas volumes were directed into the domestic market.